Fulton, MO – The Missouri Court of Appeals, Western District will once again convene court on the William Woods University (WWU) campus this week, the 27th time the court will hear cases at The Woods. 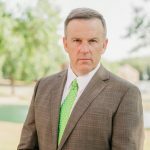 The three-judge panel will hear oral arguments in four cases in the university’s unique model courtroom, located in the Burton Business and Economics Building, beginning at 10:00 a.m. on Wednesday, April 3. The cases are appeals from previously held trials and other proceedings in area circuit courts. Presiding Judge Edward Ardini, Jr., Judge Rex Gabbert and Special Judge (and William Woods alum) Kelly Broniec will hear attorneys argue whether errors were made requiring the cases to be retried or the trial court’s judgments reversed. The judges will read written arguments before the court session and may interrupt the attorneys’ arguments with questions. Though based in Kansas City, the Court has jurisdiction over appeals from trial courts in 45 Missouri counties, including Callaway County. Over the past 20-plus years, the Court has held sessions in many of those counties in its jurisdiction, which is why it has regularly held dockets on the William Woods campus. Other benefits that William Woods students enjoy include the use of the Bernard Wietzman Model Courtroom. WWU is the only university in the state of Missouri without a law school that has a fully functional model courtroom, which was constructed to provide students in the university’s political science, legal and paralegal studies, and criminal justice majors, with practical courtroom experience. 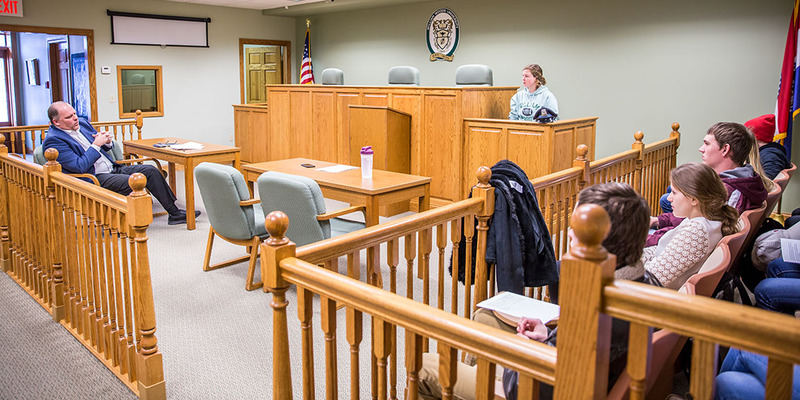 And recently, William Woods began hosting Callaway County truancy court proceedings in the model courtroom, in a partnership with the Family Court/Juvenile Office of Callaway County and area public schools to address absenteeism. As part of the partnership, WWU students in the political science, legal studies, criminal justice and social work majors get rare, hands-on legal experience while serving in a variety of roles such as court liaison, bailiff, mentor or tutor.